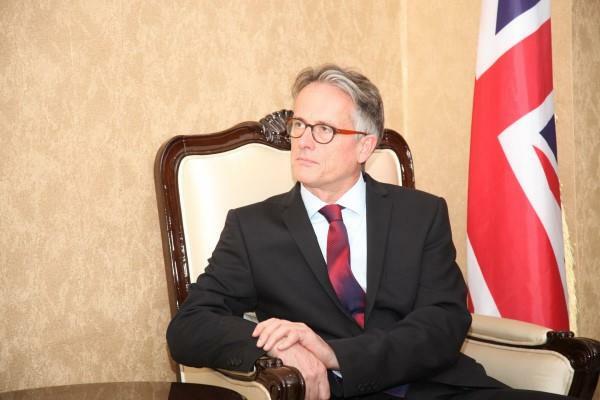 The outgoing United Kingdom Ambassador to Somaliland/Somalia, David Concar, paid a courtesy visit to the President of the Republic of Somaliland, Musa Bihi Abdi, Saturday, during which the two sides investigated ways to improve relations between the two countries and the planned construction of Berbera Corridor . "The two sides talked of a number of issues that are of great import which included strengthening mutual relations, the conduct and proper, timely implementation of the upcoming parliamentary and municipal elections and humanitarian assistance linking the two sides together," the statement said. "The meeting, furthermore, focused on relating areas placing special emphasis on on-going health programs, security-related issues covering both national and regional aspects and job-creation for youth and the unemployed, at large," it continued to elaborate.